providers - to engage, collaborate, share use cases and brainstorm how to make education institutes ready for future, improve various functions and processes using technology. 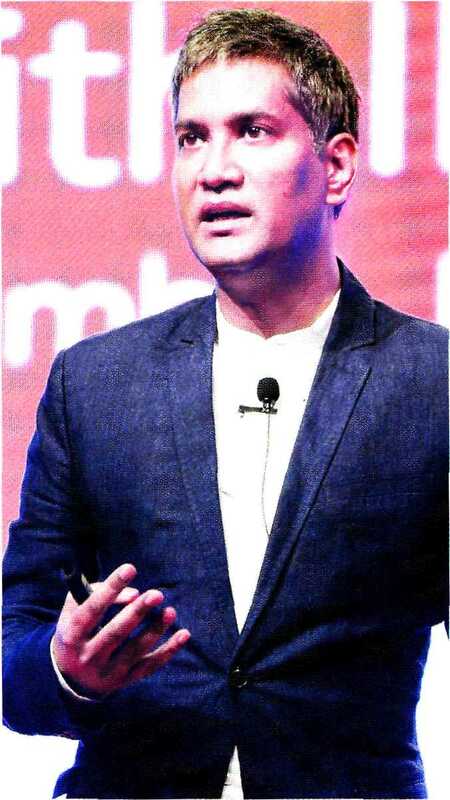 "Collaboration of education and technology can transform the way higher education is imparted in a coun­try like India where, due to the cost factor, education remains confined to a small and privileged section of our population," added Bhupesh Dahe­ria, founder, EduTech Congress & CEO, Aegis School, Mumbai. "At EduTech Congress, we aim to bring together higher education technology services/ solutions providers and the stakehold­ers of the higher education. This kind of platform will help make the Indian education sector undergo a much required reform process and finally we can achieve the desired results of qual­ity and competitive delivery of these courses." Aegis School of Business, Data Science, Cyber Security and Telecom was founded in the year 2002, with support from Bharti Airtel to develop cross functional technology leaders. "Today's learning context and learn­ing models are strikingly different from yesterdays," remarked P.D. Jose, chairperson, digital learning, HM Ben-galuru. "Learning is a lifelong activity, and education is not seen as a onetime sure shot to a lifelong job. It is also not location or legacy constrained. In this new scenario, technology is not just disrupting how education is delivered but also is challenging our ideas of how universities should be managed." "Technology can be a powerful tool for transforming learning," commented Bhavani Prasad Panda, Maharashtra National Law University, Mumbai. "It can help affirm and advance relation­ships between educators and students, reinvent our approaches to learning and collaboration, shrink long-standing equity and accessibility gaps, and adapt learning experiences to meet the needs of all learners." T echnology is ushering in a bigger revolution in learning than any invention ever before. Emerg­ing technologies such as social media, augmented reality, analytics, cloud computing and 3D printing are paving the way for the future of higher educa­tion. Teachers are increasingly realis­ing the value of the latest technologies and devices and the roles they play in becoming more efficient educators. They can assist with lesson planning, paper grading, communication with guardians/parents and many other activities. A larger number of educa­tors are integrating these new technol­ogies and devices into their lessons. There is a clear evolution taking place in which traditional learning is mak­ing way for technology-enabled online and hybrid learning, with free courses accessible to anyone, to be attended from anywhere in the world. Experts are of the view that, when carefully designed and thought­fully applied, technology can acceler­ate, amplify, and expand the impact of effective teaching practices. How­ever, to be transformative, educators need to have the knowledge and skills to take full advantage of technology-rich learning environments. Technol­ogy plays an increasingly significant role in improving access to educa­tion for people living in impoverished areas and developing countries, where reach and accessibility is a major issue. In fact, technology could be a major disruptive force, going ahead. words, one of the most important aspects of technology in education is its ability to level the field of opportu­nity for students.